For some of the guests at the official opening, there might have been a sense of déjÃ vu about the whole event – just one week earlier, they’d rushed into the park to be amongst the first to preview Crush’s Coaster and Cars Race Rally as Annual Passholders. The events were a big success, as shown by the long queues to enter the area (below), despite a Fastpass-style timeslot system being implimented to give each passholder a 2-hour slot in which to preview the rides. Despite the queues, some technical problems at Crush late in the day and general overcrowding for refreshments at Salon Mickey and the mezzanine of Disney Studio 1, the Toon Studio Preview Event was a big success for all. (2nd June) Long queues for Annual Passholder previews. (2nd June) Imagineer Beth Clapperton interviewed for Disneyland15.com blog. The same weekend also saw the first low-key invasion of the press, albeit Disney’s own. The Photos Magiques camera spotted Beth Clapperton, Imagineer for Crush’s Coaster and already seen in many behind-the-scenes glimpses at the attraction, giving an interview in front of the attraction itself. 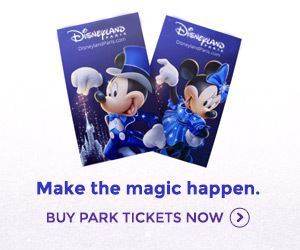 Look out for this on the official Disneyland15.com blog at some point. One week later, with previews complete and everything finally neat and pretty, it was time for the grand opening. The general smaller scale of Walt Disney Studios might have given a slightly quieter impression than the anniversary launch events of April, just two months ago, but the crowds were just as eager. To a mix of music ranging from Disney’s animated movie scores to the Peter Pan “flying” theme and “Just Like We Dreamed It”, the ceremony commenced as Arnauld Gayet, one of the two 2007 Disneyland Resort Paris Ambassadors, climed onto a small podium next to the Sorcerer Mickey marquee. (9th June) Toon Studio grand opening ceremony. With an impressive mix of French and English, Arnaud welcomed guests and introduced the special event, as the first Toon characters began to arrive behind him via the cadillacs of Good Morning Walt Disney Studios. Wendy Courquet, the second 2007 Ambassador, soon joined Arnaud from the empty Toon Studio behind, raving and exclaiming about each of the five attractions in the “new” land as Arnauld introduced them. Interestingly, despite the massive campaign on the esplanade, the ceremony served to inaugurate Toon Studio as en entire land, rather than to give special attention to its two brand new attractions. With the introductions complete, several more characters welcomed (including The Incredibles) and the crowd appearing a little impatient, the guest of honour arrived to open his brand new studio – Mickey Mouse! It’s lucky that Hollywood glamour appears to never go out of style, since the dazzling white outfits worn by Mickey and Minnie might be recognised from the grand opening of the park itself, back in 2002. Mickey joined Wendy to cut the double ribbon of blue and gold, as Arnauld officially declared the new Toon Studio… “open!” with guests rushing to their chosen attraction. Wait times for Crush and Cars remained impressive the entire day, with Cars Quatre Roues Rallye resting at around 50 minutes and Crush’s Coaster enjoying an everage queue of 1 hour 30 minutes, despite Cast Members warning guests the wait would be 3 hours from its entrance. Across the park, attractions such as Rock ‘n’ Roller Coaster and Studio Tram Tour apparently rarely had wait times above 15 minutes. Kinoo on our partner website magicforum reported that total attendance at the Studios was 14,000 for the day, with around 5,000 guests heading straight towards the new attractions upon opening. With a simple “tea cups” like Cars (albeit a brand new one) gaining a 50 minute wait that guests were reportedly quite happy to endure, the fall-out from Toon Studio will, it appears, be to now try and coax guests out of this immediately popular area and to the rest of the park. Photos by Photos Magiques (2/06/2007) and Aaronline.nl (9/06/2007); Video by Concombre2k7. With thanks to the opening reports from members on Disney Central Plaza and magicforum.